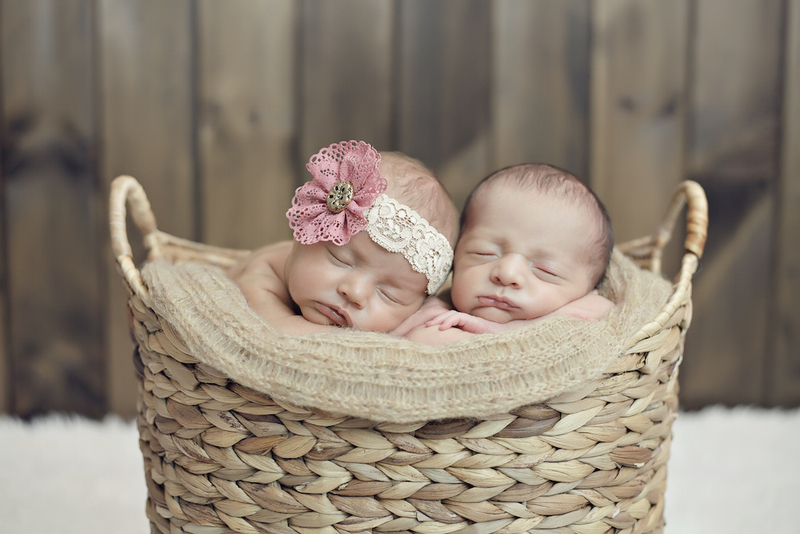 Having twins, triplets or any number of ‘multiples’ is NOT easy. I mean, aside from it being an enormous amount of work (especially in the early days) it is very, VERY expensive and it is also a little scary! That’s why I really want to tell you about an AMAZING resource I discovered when I was pregnant with my own twins – the Twins, Triplets and More Association of Calgary (or ‘TTMAC’ as many of us in the YYC multiples community call it). I promise, they are not paying me to post this – I just love the association ‘this’ much! Honestly, it was one the greatest supports I had when preparing for and bringing home our twins! I can’t remember exactly how I heard about TTMAC anymore, word of mouth perhaps? Regardless, I am so happy that I discovered them while I was still pregnant because I was able to take advantage of some of the membership benefits even at that time (speaking of membership, I should mention that there is a nominal membership fee…but for our family, the cost of membership has more than paid for itself year over year). Currently, the membership fee in 2016 for a new member is $50/year. Thank the heavens above because having multiples is SO expensive! Most items you will need in double (or maybe more if you’re having triplets…or quads…or…OMG! ), so any little penny saved will make a big difference for you in the end. You might be surprised to know that we actually still are able to take advantage of discounts even though we are long past the stage of buying cribs, which is so nice. Twin Baby Buddy nursing pillow I did buy a couple of new covers (covers were available I just preferred something a little different). This thing was a lifesaver and made a big difference when I got really crazy and tried ‘tandem feeding’.In case you’re not sure what tandem feeding is, it’s nursing two babies at the same time. It’s for people who like to multi-task. Not me. Thankfully Gray and Miss A were fairly efficient eaters! Bumbo Chair That thing was awesome and we got loads of use out of it. I used mine to prop the babes up for feeding in the early days and I also used it as an accessory with my exersaucer (which we only had one of). I would place one baby in the exersaucer and the other in the Bumbo within reach of the exersaucer – it worked like a charm and kept both babies entertained for an extended period of time. I supposed this is why exersaucers are affectionately referred to as ‘circles-of-neglect’. Resource Books The office has a decent little library of books and I did find two or three books on parenting multiples to bring home and place neatly on my bedside table.So, full disclosure here: I had good intentions of reading all of these books but, really…who has time for that when you’re waking up every three hours to ‘nurse-then-bottle-feed-then-burp’ two tiny humans (or more), change 16 diapers a day (or more), and ‘try’ to shower, sleep, cook, and wash in-between? Seriously, my God, why did I think I would be reading? Honestly, the TTMAC Facebook page is a really great way to connect to the YYC multiples community. This page has been so amazing for buying and selling multiples-related products and also coordinating outfits for the kids. Think coordinating/matching clothing, double-strollers, Halloween costumes, etc. Awesome! There are a wide variety of socials and events available for members. I have personally attended age-appropriate playgroup socials, evening parent socials, family events (Halloween, Christmas, etc) and my personal favourite – Mom only evenings out and retreats! All of my friends know that I love me a good contest and TTMAC has no shortage of these! I have been lucky enough to win some products from their monthly contests and one year for Mother’s Day, our family even won an entire family photo session (including DVD) from the very kind and generous Larissa G Photography! This sale is huge, infamous, and very well organized! On top of that, it is another great place to buy equipment for your multiples since most of the vendors are parents of multiples. It’s also a spot you can buy coordinating (or matching) outfits for your multiples second hand. Even if you don’t have multiples, you ‘can’ and ‘should’ go to this amazing sale! It is totally worth it! Both my husband and I took a first-aid course through TTMAC for a very nominal fee, which probably paid for our membership that year on its own. There are other TTMAC Membership Benefits Available as well! There are quite a few areas that TTMAC offers support with if wanted…breastfeeding, NICU support, Bereavement, Single Parent support, and the list goes on. There is also a “New to You” inventory of clothing and supply items that have been donated to the office for families who might be in want/need. Overall, I can’t say enough good things about becoming a member of TTMAC. If you are expecting multiples or even if you already have them, I would really encourage you to consider a membership. It has been such a great resource for our family and I honestly have met some of my most favourite people through this group…Gray and A have too! Hi Dionne! Loved your post. I’m a friend of Kiley’s and expecting twins in early 2017 (which will be kiddos 3&4) so two at once is a whole new experience for me. I’ve registered for the ttmac and am following on Facebook, but I’m gonna be honest – besides the list of upcoming events, I had NO idea of all the benefits you had listed above. Ok so glad Kiley sent me the link to your blog! Can you tell me where I’d go to find resources like the loaners and such? Any help to prep for these ladies is definitely welcome. Thanks! That was so nice of Kiley to share this with you! Congratulations on your twin pregnancy! How exciting! Hopefully you have some little ‘built in babysitters’ to help you out! Once you are a TTMAC member, you can contact the office to see what they have available to loan out, there is so much great stuff! Right now, the office is located in Lake Bonavista and the contact person is Cathy (contact info can be found on the TTMAC website). I hope this helps! …and congrats again! Super exciting news!! One more thing…the loaners are covered during the welcome and support visits from TTMAC. Have you had yours yet? If not, you will have this info come your way.